Some 164 years ago the people of West Bengal got their first taste of a train journey. And ever since, it has become an integral part of their lives. Like in most other Indian states, trains have become more than just means of transportation – they have become a reflection of life itself. And life is often filled with the unique and mysterious! Many Indian railway stations across West Bengal have a unique personality of their own. 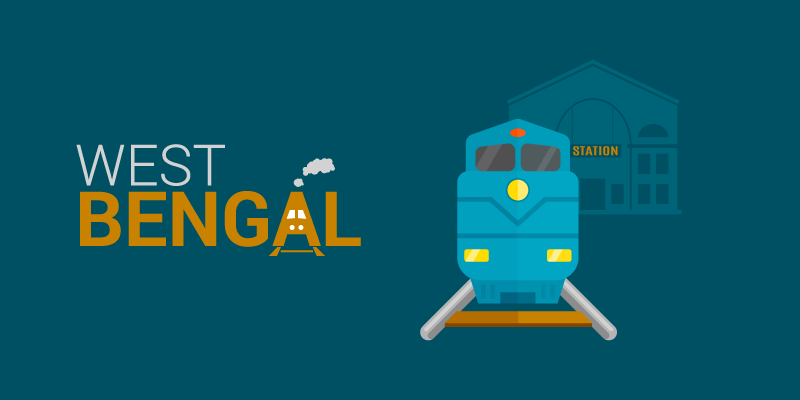 So, read about the unique railway stations of West Bengal right here. Indian railways has a network of more than 8000 railway stations across India and this one stands out from the rest! Rainanagar railway station lies in Purba Bardhaman district of West Bengal. 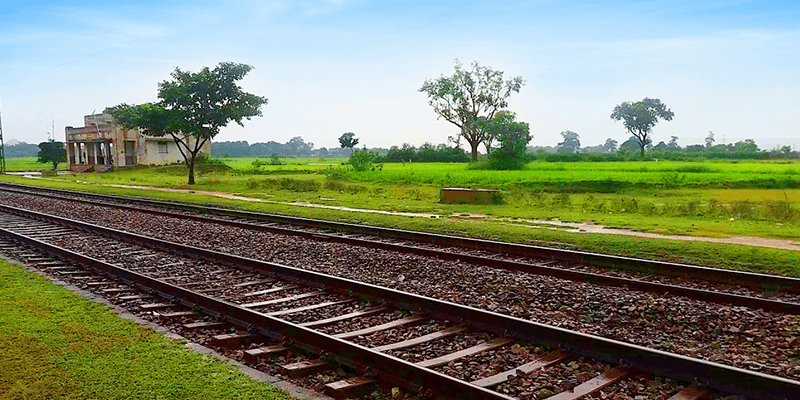 Established in 2008, the railway station is a halting point for most trains along the Bankura-Masagram line. In its initial days the station went by the name of Rainagar. But soon a feud erupted between the villagers. On group felt that this Indian railway station should be named Raina, as it was built on a land belonging to the village of same name. 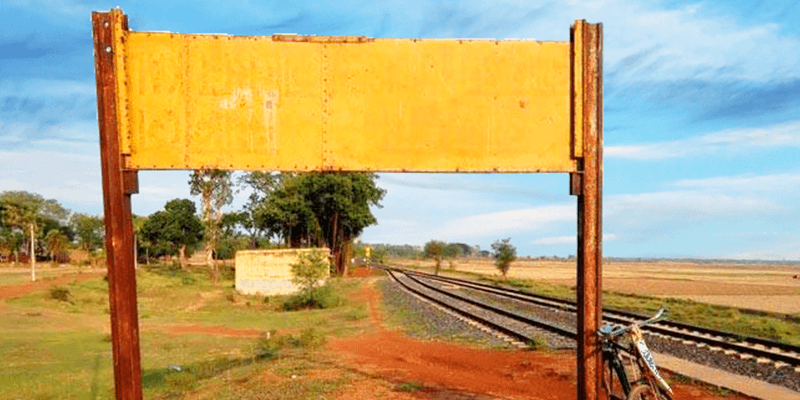 After many altercations, Indian railways decided to wipe out the name of the station from the signboard. As a result the station is nameless! Logically, the first time visitors remain very confused, due to the lack of name on signboard, they have to ask around to ascertain the name of this “nameless station”. Trivia: Though there is no name on the station signboard, in official records the station still goes by the name of Rainanagar (RNGR). Situated in Purulia district, this station was established in the 1960s. The local tribal queen, Lachan Kumari donated her own lands for the construction of the Begunkodor railway station. Soon after, Begunkodor became an important station along the Ranchi route. All was going relatively well for this new station, until in 1967 the station master reported a ghost sighting while taking a stroll nearby. Soon after the station master and his whole family were found dead in their quarter. This spooked the railway staff and they refused to work at the station. Gradually, people stopped visiting this station (situated on the remote outskirts of the village) after sunset. With the passage of time, the passenger count at this station became almost zero resulting in closure of this railway station. In 2009, the then Railway Minister, Ms Mamata Banerjee, publicly scoffed at the haunting story and re-opened the station. 5 trains have their stops at the Begunkodor railway station, but the locals still refuse to venture near the station after sunset. Trivia: A lone person mans this railway station and he performs puja every day before entering the station premises. Tip: The station is a must visit for the thrill seekers. It has a perfect setting for any horror story. A crumbling station building, with nothing but miles of rice fields in the near vicinity and not a human at sight. 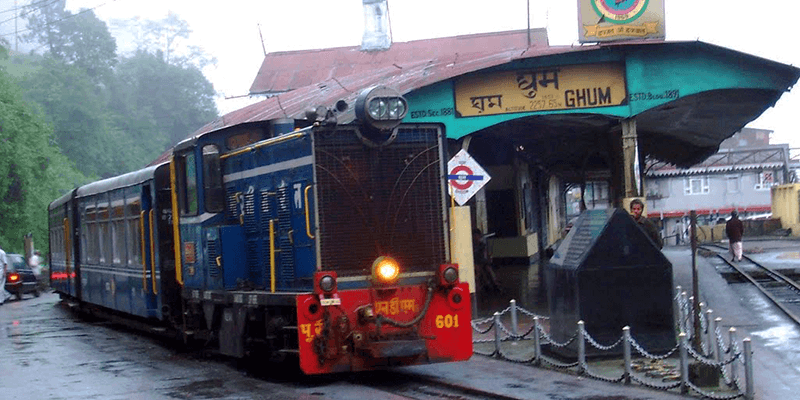 Perched on the lofty Darjeeling hills, Ghum railway station is an important stop for Darjeeling Himalayan railways. But, what made this scenic railway station really famous was a unique accomplishment. The station is situated at an altitude of 2,257 m (7,405 ft) which makes it the highest railway station in India and 14th highest railway station in the world! Apart from being the highest, Ghum is also one of the most beautiful railway stations in the world! Trivia: Tanggula railway station in the autonomous Tibet region of China is the highest railway station in the world. It is situated at an altitude of 5,068 m (16,627 ft). A visit to Kolkata mostly starts after de-boarding at this age old heritage railway station. This revered railway station has many glorious achievements in its portfolio. 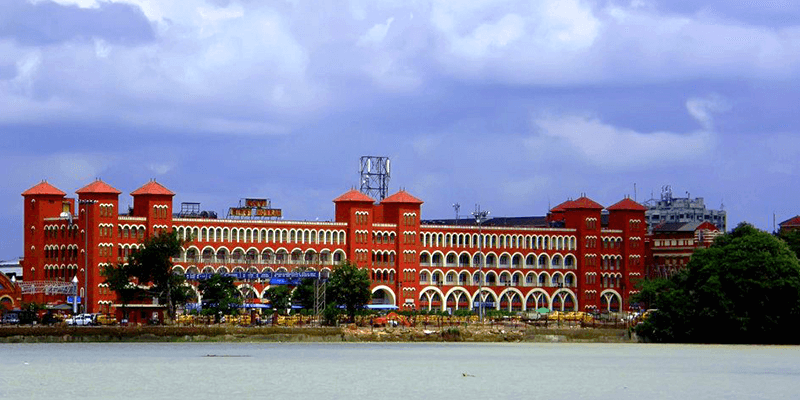 A mention worthy one among them is that: Howrah railway station complex has the maximum number of platforms in India. The station is composed of 23 platforms that are spread across two complexes. All these platforms definitely come in handy when Howrah has to handle a traffic of 600 passenger trains every day. Howrah is also the connecting link for more than 1273 stations across India. Trivia: Grand Central Terminal in New York City, USA is the railway station with maximum number of platforms in the world. This huge station complex contains as many as 44 platforms. 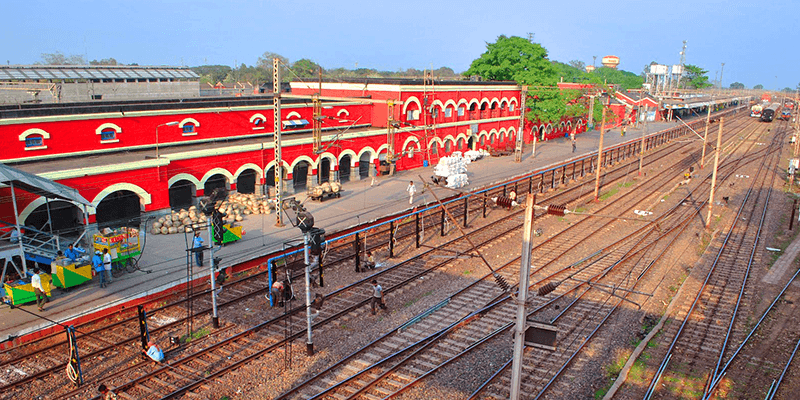 This well-known railway station was opened in 1898 and has been connecting West Bengal (via trains) to South India ever since. Kharagpur, even five years back, had the world’s longest railway platform. The length of its platform is 1,072.5 m (3,519 ft). But, after the remodelling of the Gorakhpur railway station, Kharagpur railway station lost this claim to fame. Today, it is the third longest railway platform in the world (with Kollam Junction in Kerala holding the second position). Trivia: Three Indian railway stations – Gorakhpur, Kollam and Kharagpur comprise the top three list for “Longest Railway Platform in the world”. Belur Math and the Dakshineswar Kali temple are spiritual hotspots near Kolkata. And both of them have their own railway station. These railway stations are only a couple of minutes’ walk from the main temple. 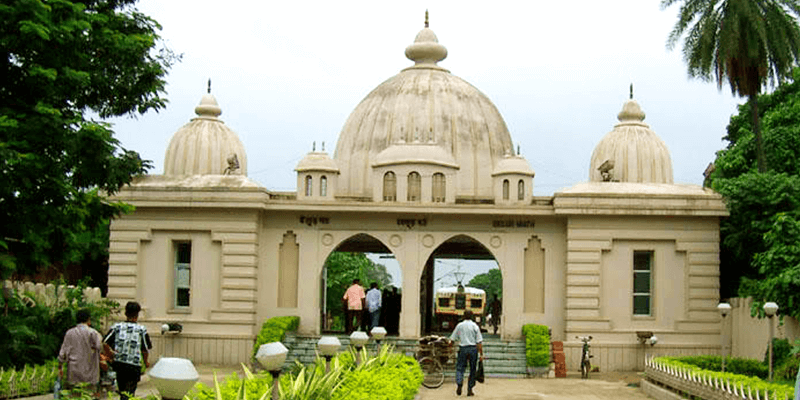 What makes Belur Math and Dakshineswar railway stations so unique is their architecture. The ticket counter and the premises of these railway stations are exact replicas of the main temples, in miniature forms. While Dakshineswar station lies along the Sealdah-Dankuni route, Belur Math has a special train route from Howrah for itself! So next time when you are planning a journey, don’t focus only on the destination. Take time to see the station you are alighting or boarding and your memories will be all the more memorable! Previous articleWhy RailYatri bus service should be your best choice for booking Online tickets!